UVdesk - How to edit Company Setting? The setting means configuring the values, data, images, links, etc in any system so that the system can work perfectly fine as per the defined data. In UVdesk Helpdesk System, there is "Company Setting" section in which the administrator can define the values, links, name, images, color as per the requirement. On the Dashboard, you will see "SETTINGS" menu and under it, you will find "Company". Click on the "Company" Icon and then you will be redirected to a new page. In the new page, you will see a total of four tabs namely- Defaults, Time, Business Hours, Pending Response & Activities. Under the "Default" tab, you will enter Name ( default “From Name” inside an email header ), Email ( This email will be used in forgetting password and account activation notification only). 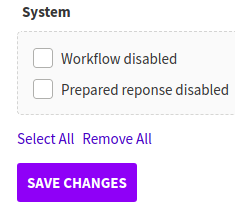 The administrator will also enter "Next Ticket ID", select the default Mailbox from the drop-down, choose default Ticket Status from the drop-down and select default Ticket Priority from the drop-down then click on save changes. 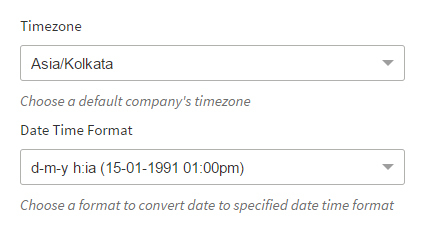 Under "Time" tab, the owner can select the "Time zone" in which their company works and select the "Date Time Format". 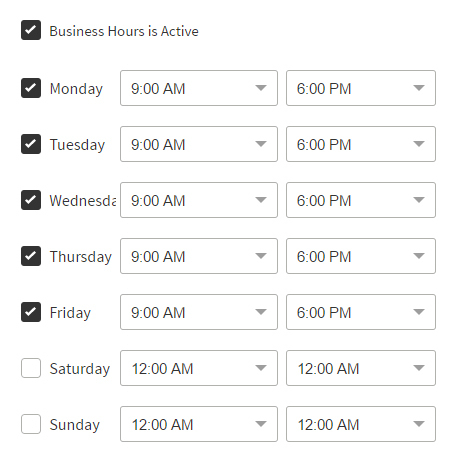 Under "Business Hours", set the working hours of the helpdesk (Opening and Closing time) and can also edit the timings as per the need. (Based on the time zone). Under "Pending Response", the owner can enter a value for "Hours Since Response Pending". The owner will also select the option for "Pending Notification Status" & "Pending Notification Template" from the drop-down. 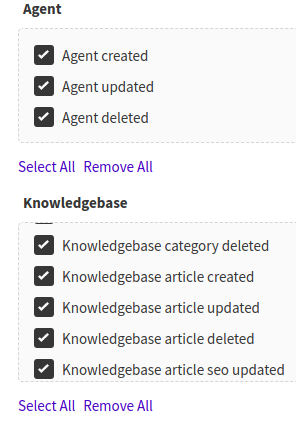 Under "Activities", the owner can select the activities from various fields like - "Tickets", "Task", "Agent", "Knowledgebase" which they want to record and check on the UVdesk Dashboard. 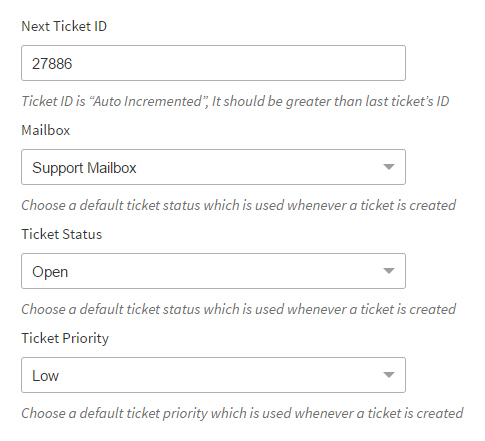 The default Mailbox selected from the drop-down will be used whenever a ticket is created. The selected values of "Ticket Status" & "Ticket Priority" will be assigned to the newly created tickets in UVdesk. 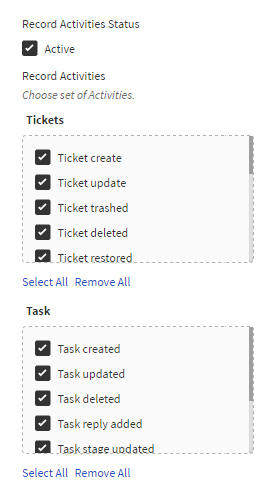 If the user sets these two values, for example, Status as pending and priority as high, then these selected values will be displayed with every new ticket. If the user sets this field to any value let's say 24 hours and you haven't heard back from the customers within the set time period then mail will automatically send to the customer regarding revert back. 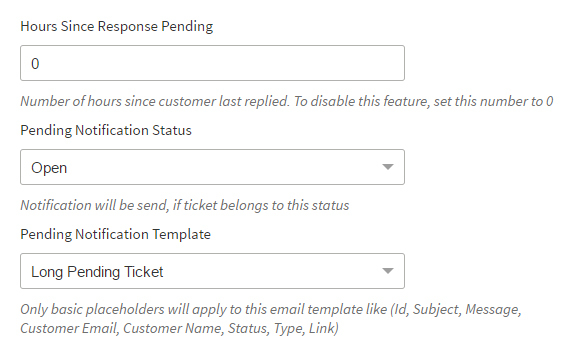 This template is for the purpose if in case the customers haven't replied to the pending ticket within the set frame of time then mail will be sent to them about pending response. In the case of any doubt, please do mail us at support@uvdesk.com and we will come up with a proper solution as soon as possible.